It’s the most unusual looking smartphone ever — BlackBerry’s square-shaped Passport. The Passport has a Qwerty keyboard that can also be used as a capacitive multi-touch trackpad. That’s a terrific innovation. It’s great for reading with its 453 dpi 4.5-inch screen. And it’s battery life is a whopping 30 hours. But is it enough to save Blackberry? Along with other innovations, it very well might be. Blackberry’s fiscal year loss increased totaled $5.9 billion and its annual revenue plummeted 38 percent to $6.8 billion. BlackBerry burned through $553 million in cash for operating expenses in Q1 2014. Its reserve dropped to $2.7 billion. With eroding market share, you might recall Blackberry intended to go private and sell to Fairfax Financial Holdings for $4.7 billion. It meant Blackberry would have less access to capital in which to compete with the likes of Apple and Google. But the deal fell apart as Fairfax is remaining as an investor, CEO Thorsten Heins is gone, and the stock market reacted unfavorably to Blackberry’s new uncertainty. His replacement, John Chen, is noted for saving Sybase Inc. in 1999. The Passport model is surprising. Earlier, it was widely reported Mr. Chen wanted Blackberry to make a major switch — to a supplier of services and software helping the private and public sectors manage the use of smartphones and tablets on Google’s Android and Microsoft Windows Phone operating systems. It might have been Blackberry’s only option. Blackberry, formerly traded as Research in Motion (RIM), needs more than just advertising and marketing strategies. 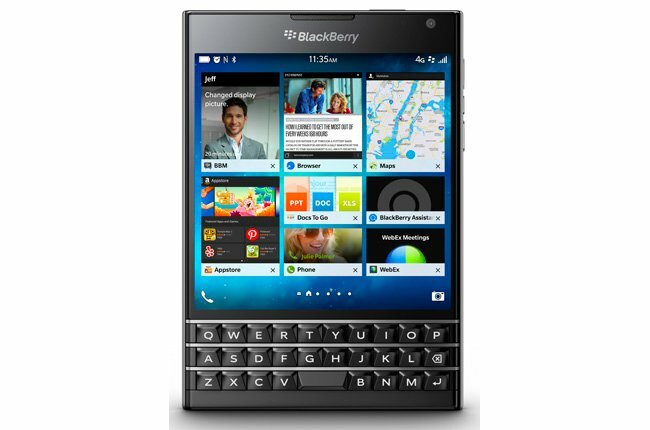 Customers hadn’t been buying the Blackberry 10 smartphones. The company has been discounting them as entry-level devices. Mr. Heins had vowed to woo back business customers. Only 50 percent of its revenue comes from device sales – the rest is from services revenue. Blackberry, formerly traded as Research in Motion (RIM), needs more than just advertising and marketing strategies. Companies – from big to small – can learn business turnaround lessons from Blackberry’s predicament. Blackberry had failed to adequately respond to marketplace changes. Along with its market-share loss in the private and public sectors, Blackberry in 2013 also lost two top executives: T.A. McCann, vice president of all social networks at BlackBerry, and Marc Gingras, founder of social-calendar company Tungle.me (which was acquired by BlackBerry in 2011). To the contrary, my sense is that drastic changes are needed – externally and internally. The company waited too long to upgrade its products, solve its product delays, and fix its reputation. Yes, Blackberry has marketing challenges. But as any savvy salesperson knows, it’s difficult to sell a product that’s considered inferior to competitors. Apple’s iPhone and iPad, and Google’s Android operating system have taken market share from Blackberry, which is why the once-proud company has also lost market value with its single-digit market share. The company waited too long to upgrade its products, solve its product delays, and fix its reputation. 1. Understand first things first. It’s important to move current product inventory, but simultaneously make long-term product development a priority. The company needed to make effective decisions and avoid making ridiculous comments like Mr. Heins when he said “drastic change” wasn’t needed. It scared off investors and prospective customers. Blackberry suffered from bad decision-making. Blackberry failed to strategically plan and implement good management strategies for a successful turnaround. 2. Develop a strategic marketing plan and align it with sales. Obviously, Blackberry also failed in marketing. That included the necessary basics for marketing plan results, and the 14 reasons why major marketing campaigns fail. And for profits, it’s critical to align marketing with sales. 3. Attract visionary product-creation relationships. Blackberry lost ground because it didn’t have enough developer support, which opened the door for competitors. It’s important to stay atop marketplace volatility. Hire or partner with visionary innovators. Blackberry didn’t do enough vetting forming a partnership and strategic alliances. 4. Create an iconic product. In Blackberry’s case, it missed opportunities to create excitement by intensifying its research and development for a blockbuster smartphone – bigger screen, 4G, and better camera. Its new product line was two years too late. Innovation is key to be a top innovator. 5. In view of the economy, remember Henry Ford’s success. Blackberry used to own the corporate market and didn’t create a consumer niche. It needs to regain corporate market share and its own version of the Model A for the digital phone age. But it’s given up on the consumer market. A salient reason Mr. Ford was successful: He manufactured an everyday car – the Model A – a car the average American could afford. Blackberry needed to think 1930’s values for business success. 6. Restructure the team. Mr. Heins errantly believed drastic change isn’t necessary — he needed to wake up quickly and reverse course. He should have made certain he employed a lot of thought leaders to serve as devils’ advocates. But again, he’s lost top executives. Blackberry needs to earn marketplace confidence by exploring and communicating all its strategic options. Unfortunately, it appears Blackberry needs to implement a cultural change for profits. 7. Operate profitably. A laser focus on profitability is warranted. It starts with understanding what drives profit. Being a leader in profit is necessary. 8. Continue to focus and promote security. Daily, the media is filled with headlines about identity theft and security. Blackberry is known for its security, but the message has been diluted. 9. Manage your reputation. The key is to create positive images. But Blackberry is suffering in reputation management. The company needs to optimize its brand to manage its reputation. That means leveraging the news media for good publicity. Further, when a company such as Blackberry has a PR crisis, it’s time to implement PR crisis management tips. Meantime, just maybe the Passport will revive Blackberry. From the Coach’s Corner, here are the developing trends and solutions for manufacturing success.